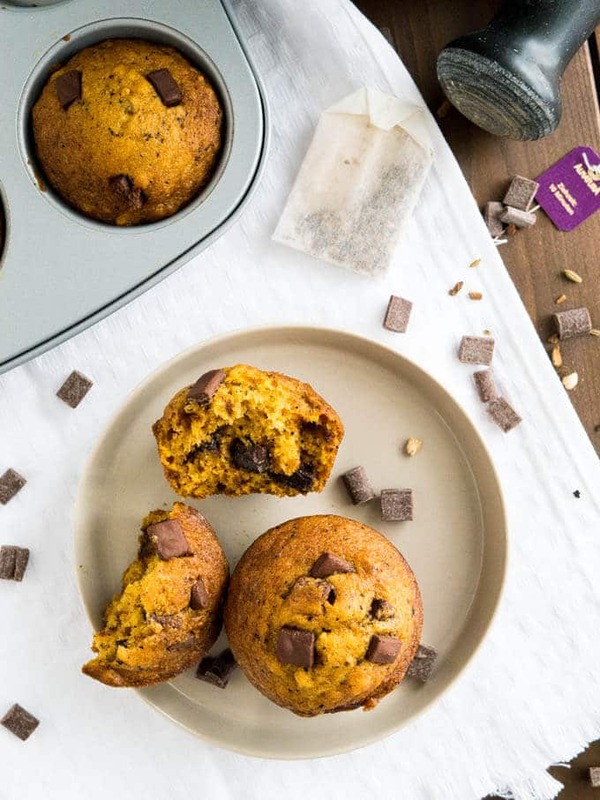 Chai-spiced Pumpkin Chocolate Chip Muffins – these moist muffins are made with pumpkin puree, chocolate chips, and warming chai spices. You only need one bowl to make these super easy fall breakfast treats! I’m pretty sure pumpkin and chai spice are a match made in heaven! 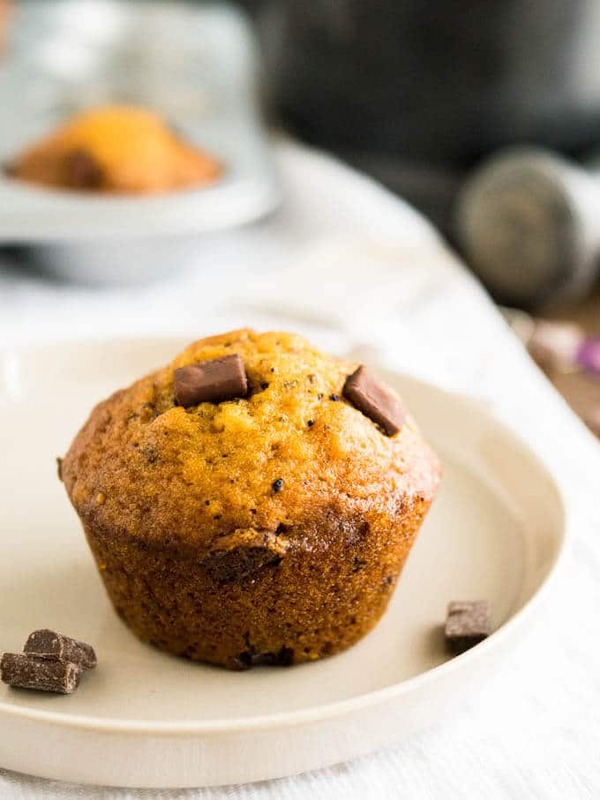 These moist and flavorful Chai-spiced Pumpkin Chocolate Chip Muffins are the perfect way to start your day! 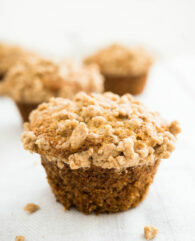 With just the right amount of warming chai spices, these muffins are sure to be a crowd-pleaser! Ok, I know there are two kinds of people: The ones who LOVE everything with pumpkin and those who hate it. 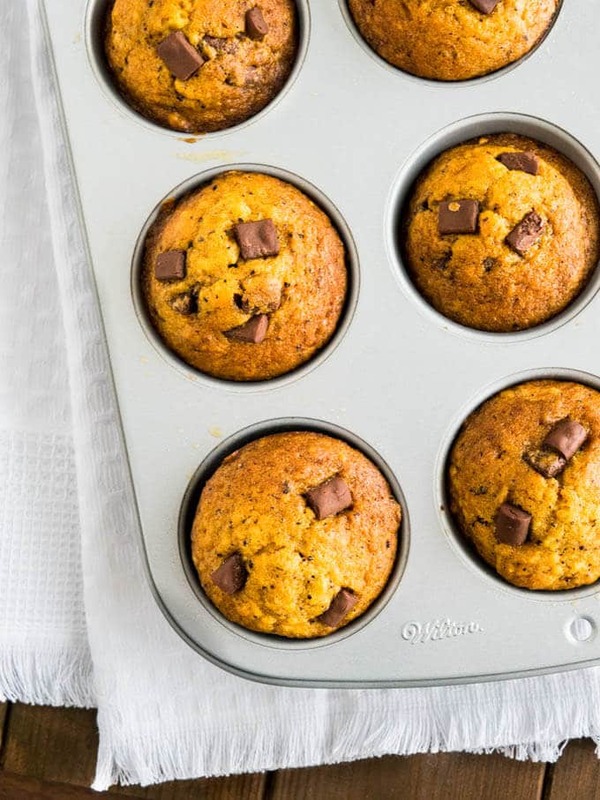 But let me tell you, these muffins will convert every pumpkin hater with just one bite! These Pumpkin Chai Muffins are so soft, fluffy, and flavorful, they will be your favorite fall muffins! I’m one of those people who love everything pumpkin flavored! 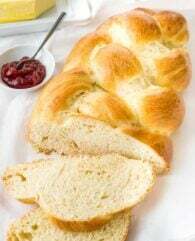 Cheesy Pumpkin Dinner Rolls, Nutella Swirl Pumpkin Bread, or Pumpkin Bundt Cake, they are all on my list of favorite fall foods. 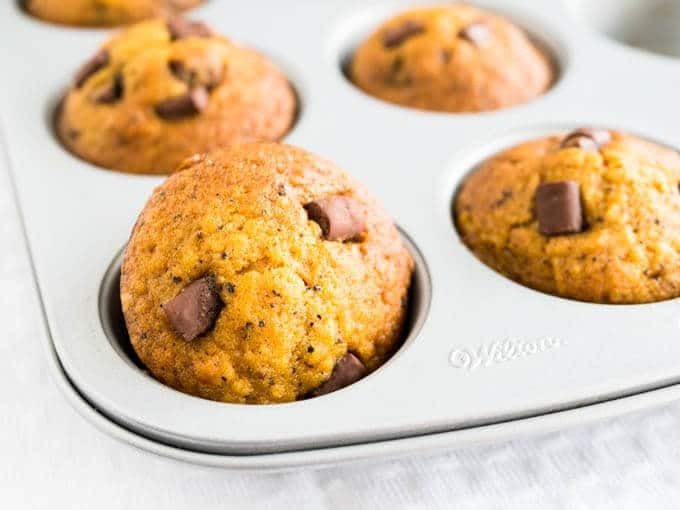 But these Pumpkin Chocolate Chip Muffins are definitely one of my favorite pumpkin recipes of all time! They’re so soft and tender! The pumpkin puree creates this wonderful fluffy texture that makes them so delicious. And did I mention they’re super easy to make and clean-up is a breeze because you only need ONE bowl to make them? You better make a double batch because these pumpkin muffins will be gone in minutes! But they also freeze great! That makes them the perfect breakfast or quick afternoon snack for me. Add a cup of Pumpkin Spice Latte and you’ll have a cozy fall treat! because – let’s be honest – chocolate is always a great idea! You only need one bowl and a spatula to make these Chai-spiced muffins which makes clean-up super quick! First, melt the butter together with the crushed chai spices. You can use the microwave to do this or a pan. When the butter is melted, add the eggs, pumpkin puree, and sugar. Then whisk in flour, baking soda, and salt and mix with your spatula until just combined. Add the chocolate chips and bake for 20 minutes! Super easy and quick! should definitely be on your Christmas wishlist! I could eat it! 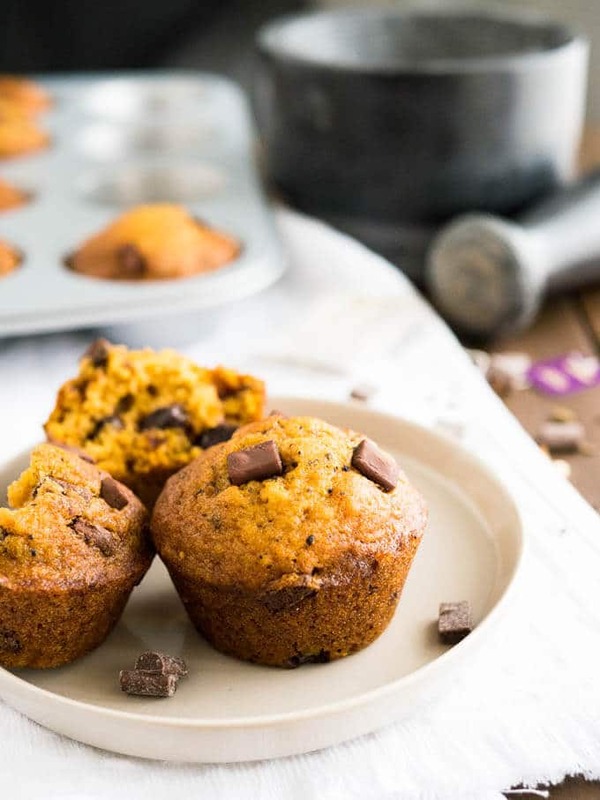 Chai-spiced Pumpkin Chocolate Chip Muffins are made with pumpkin puree, chocolate chips, and warming chai spices. 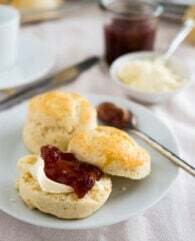 They are moist, fluffy, and easy to make! 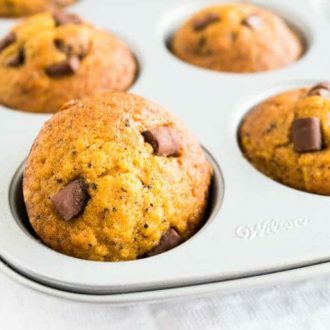 Preheat the oven to 350F (180C) and prepare a 12-cup muffin pan with cooking spray or paper liners. Melt the butter with the crushed chai tea in a medium bowl in the microwave or use a small pan. Combine the melted chai butter with the sugar, pumpkin puree, and eggs. Whisk until smooth. Add the flour, baking soda, and salt. Whisk until just incorporated. Don't over mix but make sure that there are no flour pockets left in the batter. Whisk in the chocolate chips. Use an ice cream scoop to scoop the batter into the muffin cups. Let cool for a few minutes in the pan then transfer the muffins to a cooling rack. I made these muffins for Christmas Breakfast. They were perfect..I wouldn’t change a thing. Great flavour..will definitely make these again. Love the chai twist on these! Also, your pictures are so pretty! Like those big chunks of chocolate! Looks good! What a great flavor combination! !